• Make high-quality slideshows in a few clicks. • Crop, rotate, and make other edits to your images. • Improve picture quality automatically or by hand. • Join media files together using stylish transitions. • Add your own audio or select from the default soundtracks. • Use automatic beat detection and sync slides with background music. • Export slideshows in any popular format, even GIF. • Prepare your movie for viewing on iPod, iPad, iPhone, or other mobile devices. • Share your creative work with the whole world on YouTube. Slideshow Maker lets you combine photos into stunning movies with almost no effort. Import your photos in BMP, JPEG, PNG, GIF or other image format and join them together to create amazing slideshows. Insert stylish animated transitions between the photos to give your movie a smooth flow. • Change the composition: crop, rotate and flip images. • Emphasize important elements by zooming in and out, or apply a panorama effect. 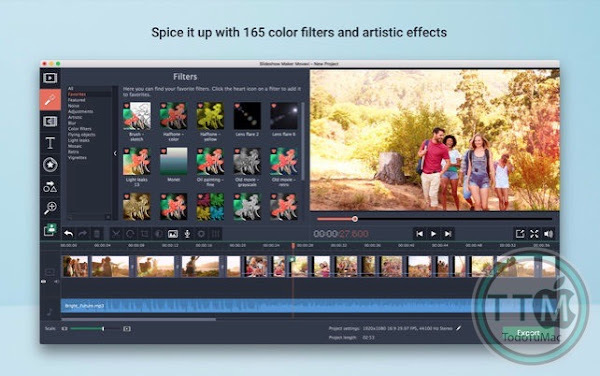 • Adjust colors by hand or use the Magic Enhance for automatic fix. • Experiment with artistic filters to add atmosphere to your slideshow. • Tweak transition properties: populate transitions with trimmed content, freeze frame or slow motion. • Apply professional special effects: Chroma Key, Picture in Picture, and more. The best way to make your slideshow unique is to add an awesome soundtrack. Import sound effects or music in MP3, FLAC, WAV, or other popular format to generate a specific atmosphere in your video. Automatic beat detection will help you sync your slides with the background music and give your slideshow added appeal. 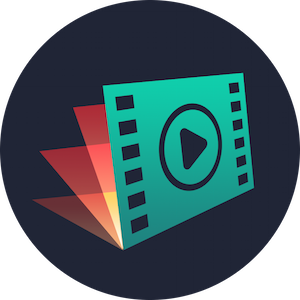 • Montage Wizard makes movies for you automatically. 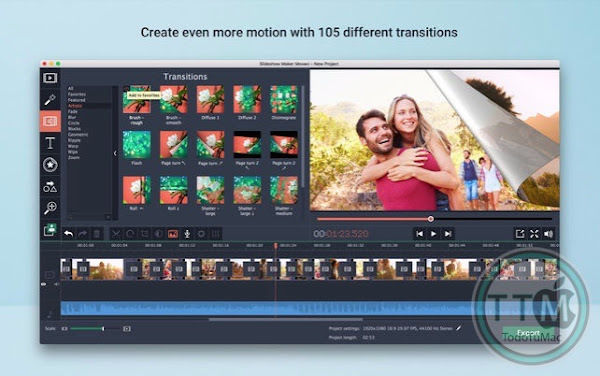 • Adjustable transitions: use trimmed fragments, freeze frame or slow motion effect. • Save the result as a GIF. • Automatic export to YouTube. • Step-by-step tips when you launch the program.